Reportz allows you to map a desired subdomain name to our app and get your reporting dashboards on your own domain for white-labeling purposes. Define your subdomain (e.g. reports.yourdomain.com) in the Reportz account settings section (Account Settings > Settings). Open your domain's DNS management dashboard (in cPanel this is called Advanced DNS Zone Editor) and add new CNAME record with name of your desired subdomain name (e.g. 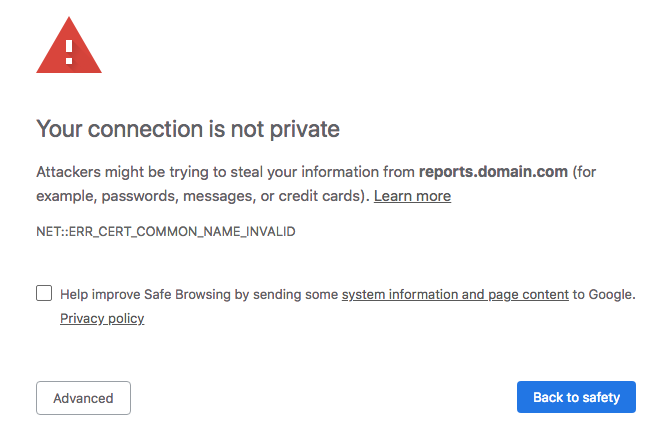 reports.yourdomain.com) and with the value of unique string we provide right below immediately after clicking the blue UPDATE button. After DNS change propagates (anywhere between 1 minute to 24 hours in extreme cases) you can access your dashboard by visiting the subdomain you've created and logging in with your credentials. 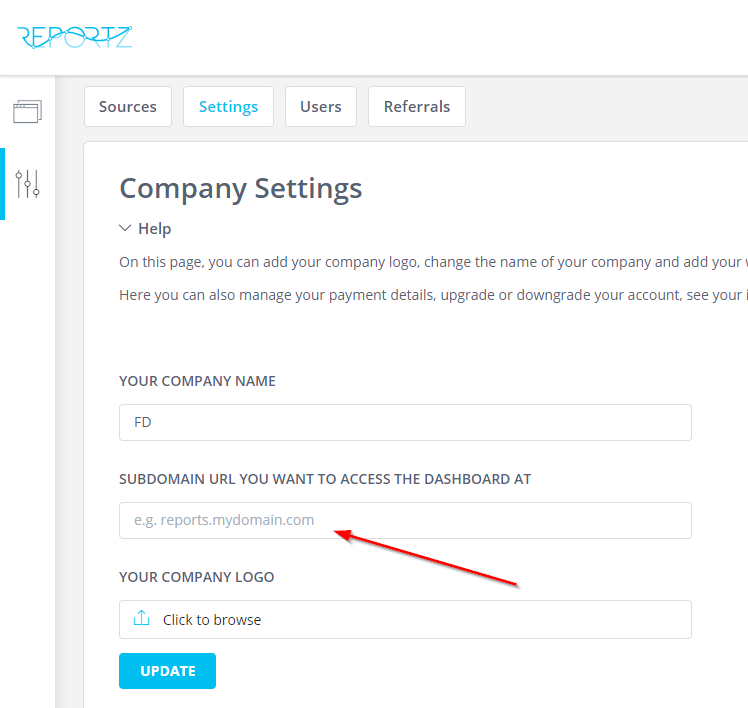 After that, you can send your clients report URLs which contain your own domain name. For custom subdomain name, use something like reports.yourdomain.com or similar format. In this situation, know that it's best to wait for several hours to a day and in majority of situations, the error will resolve and you'll be able to continue using Reportz. If the browser still shows this error after 24 hours, please get in touch with our support so we can try to help.